DALLAS, March 13, 2019 (GLOBE NEWSWIRE) — Wingstop Inc. (NASDAQ:WING) the award-winning wing concept with more than 1,200 locations globally, today announced that Maurice Cooper has been appointed to the newly created role of Executive Vice President, Chief Growth & Experience Officer, effective immediately. Maurice will maintain the responsibilities he held previously as Chief Marketing Officer, while also overseeing the end-to-end guest experience. Additionally, he will lead the Company’s revenue-driving initiatives, which include the national scale of delivery, and digital innovation. Maurice will continue to report to Charlie Morrison, Chairman and Chief Executive Officer. Concurrently, Wingstop is also strengthening its leadership team through the appointment of Kevin Fish to Senior Vice President, Digital. In this role, Kevin and his team will further Wingstop’s long-term vision to ultimately digitize every transaction by enhancing the digital guest experience. In Kevin’s five years at Wingstop he was responsible for rolling out a new POS system across the Wingstop organization. He led the development and most recent launch of the all-new Wingstop.com and mobile app experiences which accounted for over 30% of domestic sales this past January. Founded in 1994 and headquartered in Dallas, Texas, Wingstop Inc. (NASDAQ: WING) operates and franchises more than 1,200 restaurants across the United States and nine other countries around the world. The Wing Experts’ menu features classic and boneless wings with 11 bold, distinctive flavors including Original Hot, Cajun, Atomic, Mild, Lemon Pepper, Hawaiian, Garlic Parmesan, Hickory Smoked BBQ, Louisiana Rub, Spicy Korean Q®, and Mango Habanero. Wingstop’s wings are always cooked to order, hand-sauced and tossed and served with our hand-cut, seasoned fries and fresh made Ranch and Bleu Cheese dips. The Company has grown its domestic same store sales for 15 consecutive years, has been ranked #3 on the “Top 100 Fastest Growing Restaurant Chains” by Nation’s Restaurant News (2016), was ranked #7 on the “Top 40 Fast Casual Chains” by Restaurant Business (2016), and was named “Best Franchise Deal in North America” by QSR magazine (2014). For more information visit https://www.wingstop.com or https://www.wingstop.com/own-a-wingstop. Follow us on Facebook.com/Wingstop and Twitter @Wingstop. DALLAS, March 13, 2019 /PRNewswire/ — The Women’s Foodservice Forum (WFF) announced today that Hattie Hill will retire as President and CEO. She will remain with the organization until a new successor is hired. Hill has been CEO and president since 2013. Hill is active in several industry organizations and her current and past board memberships include: the Federal Reserve, Emory University Goizueta Business School, National Restaurant Association, Dallas Regional Chamber of Commerce, and past chair of VisitDallas. She previously served on the boards of the Federal Reserve Bank of Dallas, the Goizueta Business School at Emory University and the Society of International Business Fellows. Hill holds bachelors and masters degrees from Arkansas State University. WFF is the industry’s premier leadership development organization, working since 1989 to advance women in the food industry. Based in Dallas, WFF serves thousands of women and men, as well as hundreds of employers across the United States in all segments of the industry including operations, manufacturing, distribution, publishing, consulting and more. For more information, visit wff.org. NASHVILLE, Tenn.–(BUSINESS WIRE)–J. 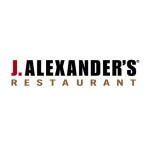 Alexander’s Holdings, Inc. (NYSE: JAX) (the Company), owner and operator of a collection of restaurants which includes J. Alexander’s, Redlands Grill, Stoney River Steakhouse and Grill and selected other restaurants, today announced that Mark A. Parkey has been appointed President and Chief Executive Officer of the Company effective May 1, 2019. He will succeed Lonnie J. Stout II, who has been named to a newly created position, Executive Chairman of the Board of Directors of the Company. At the same time, the Company announced the appointment of Jessica L. Hagler to Vice President and Chief Financial Officer, also effective May 1, 2019. In his new role as Executive Chairman of the Board, Stout will chair the Company’s Board of Directors while also working closely with Parkey on longer-term business and strategic initiatives for the Company. Stout has been a part of the Company’s management team or its predecessors’ management for parts of five decades. He and Chief Operating Officer Mike Moore co-founded J. Alexander’s Restaurants in 1991. Stout commented, “It has truly been a joy to serve this Company and lead this outstanding management team. Given Mark’s broad experience with the Company, his focus and high integrity, I am confident that he will be an outstanding Chief Executive Officer. Jessica Hagler will transition smoothly to the Chief Financial Officer position. In addition, Mike Moore, our Chief Operating Officer, will be taking on more operational responsibilities. This is a powerful team, and they will be extremely successful. Stout has been a director, President and Chief Executive Officer of the Company since its formation. Prior to that time, he was President and Chief Executive Officer of J. Alexander’s Corporation (“JAC”), the predecessor to J. Alexander’s, LLC since 1986, and a director/manager (as applicable) of J. Alexander’s Holdings, LLC and J. Alexander’s, LLC. Stout joined JAC in 1979 and has held various leadership roles, including Chairman from 1990 until October 2012. He is a Certified Public Accountant, inactive, and a graduate of Tennessee Technological University. Parkey has served as Executive Vice President, Chief Financial Officer and Treasurer of the Company since its formation. He has held the same positions at J. Alexander’s Holdings, LLC and J. Alexander’s, LLC since 2013. Prior to becoming the Chief Financial Officer, Parkey served as Vice President and other offices of JAC from 1993 to 2012. He is a Certified Public Accountant, inactive, and a graduate of Harding University. Hagler has served as Vice President, Controller and Chief Accounting Officer of the Company since October 2015, and as the Secretary of the Company since February 2018. She previously served as Assistant Vice President and Controller of the Company since its formation in August 2014 and held the same positions with J. Alexander’s Holdings, LLC and its subsidiaries since May 2013. Prior to that time, she served JAC in the role of Director of Financial Reporting and Compliance from March 2012 through May 2013 and as Director of Compliance from November 2010 to March 2012. Hagler is a licensed Certified Public Accountant in the State of Tennessee. She holds a Bachelor’s degree in Accounting and a Master’s in Business Administration from Middle Tennessee State University. Prior to joining the Company, Hagler was a Senior Manager in the audit services division at KPMG LLP. For additional information, visit www.jalexandersholdings.com. CANTON, Mass., March 11, 2019 /PRNewswire/ — Dunkin’ Brands Group, Inc. (Nasdaq: DNKN), the parent company of Dunkin’ and Baskin-Robbins, today announced the appointment of David Mann as Senior Vice President and Chief Legal Officer. He will serve on the Company’s leadership team and will report directly to Dave Hoffmann, Dunkin’ Brands CEO and Dunkin’ U.S. President. Mann replaces Rich Emmett, who is retiring as Chief Legal and Human Resources Officer from the Company. Before joining Dunkin’ Brands, Mann was Senior Vice President and Deputy General Counsel for Marriott International, a leading global hospitality company that manages and franchises a broad portfolio of hotels and lodging facilities. Mann joined Marriott in 1995 and held a variety of positions of increasing responsibility in the legal department, including serving as General Counsel for the company’s Ritz-Carlton division and as Marriott’s Corporate Secretary. During his tenure, he played a pivotal role in helping transform and expand the company’s product offerings and global footprint. This included leading the Marriott legal team in a number of acquisitions, product offerings and joint ventures, including the company’s landmark $13 billion acquisition of Starwood Hotels & Resorts in 2016. Prior to joining Marriott, Mann practiced corporate and securities law at Akin, Gump, Strauss, Hauer & Feld from 1988 through 1995. He earned his B.A. from Dartmouth College and his Juris Doctor from the University of Michigan Law School. With more than 20,900 points of distribution in more than 60 countries worldwide, Dunkin’ Brands Group, Inc. (Nasdaq: DNKN) is one of the world’s leading franchisors of quick service restaurants (QSR) serving hot and cold coffee and baked goods, as well as hard-serve ice cream. At the end of the fourth quarter 2018, Dunkin’ Brands’ 100 percent franchised business model included more than 12,800 Dunkin’ restaurants and more than 8,000 Baskin-Robbins restaurants. Dunkin’ Brands Group, Inc. is headquartered in Canton, Mass. Bloomin’ Brands, Inc. (the “Company”), one of the largest casual dining restaurant companies in the world with four founder-inspired brands including Outback Steakhouse, Carrabba’s Italian Grill, Bonefish Grill and Fleming’s Prime Steakhouse and Wine Bar, (Nasdaq: BLMN) will host an analyst and investor day on Monday, March 11, 2019 in New York City. The presentations will detail the Company’s strategic review of the casual dining segment, portfolio growth initiatives and the key drivers behind the momentum at the Outback Steakhouse brand. The Company will also reaffirm its previously-announced guidance. Additionally, the Company is announcing that its Board of Directors will implement its Chief Executive Officer (CEO) and Chief Financial Officer (CFO) succession plan effective April 1, 2019. David J. Deno, currently serving as CFAO, has been appointed CEO and a Director of the Company. Christopher Meyer, Group Vice President of Financial Planning & Analysis; Investor Relations, will serve as Executive Vice President and CFO. Liz Smith, current Chairman and CEO, has been appointed to serve as Executive Chairman of the Board of Directors (the “Board”). Deno joined the Company in 2012 from Best Buy where he served as the President of Asia and Chief Financial Officer for Best Buy International. His hospitality industry career has included more than 15 years in senior level operations and financial positions at PepsiCo/YUM Brands and eight years at Burger King. He is a graduate of Macalester College and earned an MBA from the University of Michigan. Meyer joined the Company in 2004 and has held progressively responsible positions including Group Vice President Finance and Accounting; Treasurer; and Investor Relations Officer as well as Vice President of Finance for Bonefish Grill. He is a 1994 graduate of the University of Florida, earning his MBA from the same university in 2003. Rawls to oversee public affairs, company reputation, and internal and external communications for the brand in the U.S.
LOUISVILLE, Ky., March 7, 2019 /PRNewswire/ — KFC Corporation today announced it has named Staci Rawls chief communications officer of KFC U.S., effective immediately. As the brand’s first CCO, Rawls will oversee the development of KFC’s overall business narrative and lead all external and internal communications including public relations, crisis and issues management, public affairs, and social purpose efforts. Rawls, a four-year veteran of KFC U.S., has led the communications efforts for the brand’s most iconic moments during its turnaround. During her tenure as KFC U.S. director of public affairs, Rawls oversaw major brand milestones including the realized commitment to remove antibiotics important to human medicine from the poultry supply chain for KFC U.S. She also led iconic moments to bring the brand back to the forefront of pop culture and QSR consideration, from selling out of fried chicken-scented sunscreen and 11 Herbs & Spices Firelogs, to launching KFC’s first female Colonel: Reba McEntire, to sending a Zinger chicken sandwich to space. She led the transformation of KFC U.S. communications strategy, fully integrating external and internal communications functions to create a singular brand voice that resonates across functions. In 2018, PR Week recognized her work on the KFC brand by naming her their “PR Professional of the Year.” Additionally, in 2019, she was named to PR Week’s “Top Women in PR” list. Rawls’ career in strategic communications spans nearly two decades. Prior to joining KFC, Rawls worked in a variety of senior internal and external communications positions for a number of brands including J.C. Penny Co., Papa John’s International, Inc., and most recently Dallas-based Raising Cane’s Chicken Fingers, where she was responsible for building a strategic communications function and communicating the company’s overall mission, vision, values, and product offerings. KFC Corporation, based in Louisville, Ky., is the world’s most popular chicken restaurant chain. KFC specializes in Original Recipe®, Extra Crispy™, Kentucky Grilled Chicken® and Extra Crispy™ Tenders, Hot Wings™, KFC Famous Bowls®, Pot Pies, freshly hand prepared chicken sandwiches, biscuits and homestyle side items. There are more than 22,000 KFC restaurants in over 135 countries and territories around the world. KFC Corporation is a subsidiary of Yum! Brands, Inc., Louisville, Ky. (NYSE: YUM). For more information, visit www.kfc.com. Follow KFC on Facebook (www.facebook.com/kfc), Twitter (www.twitter.com/kfc) and Instagram (www.instagram.com/KFC). Charlotte, NC (RestaurantNews.com) Randy Poindexter is retiring as Bojangles’ senior vice president of marketing after more than 28 years with the company. As Bojangles’ top marketing officer, Poindexter played an instrumental role in building the iconic brand, creating a loyal following of “BoFanatics” and forming long-lasting partnerships that have helped Bojangles’ connect with the communities it serves, such as sporting alliances with Darlington Raceway, Charlotte Motor Speedway, Carolina Panthers, Charlotte Hornets and the Atlantic Coast Conference. Poindexter also helped create Bojangles’ memorable advertising campaigns, from the beloved TV commercials featuring former Carolina Panthers players Jake Delhomme and Steve Smith, to the “It’s Bo Time!” slogan that has been the brand’s rallying cry since 2010. Most recently, he oversaw a new 10-year, $2.85 million agreement with the Charlotte Regional Visitors Authority (CRVA) for naming rights to the Bojangles’ Coliseum and Ovens Auditorium campus, now known as the Bojangles’ Entertainment Complex. The deal underscores Bojangles’ deep commitment to the economic growth and development of Charlotte, where the company was founded more than 40 years ago and is headquartered. Poindexter will officially retire on Aug. 1, 2019. He joined Bojangles’ in 1990 as vice president of marketing before being named senior vice president in 1999. Prior to joining Bojangles’, he held multiple positions for Kentucky Fried Chicken (KFC), serving first as field marketing manager in Atlanta, then division marketing director in Charlotte and as division senior marketing director in Atlanta. Poindexter also worked with Chart House Inc. as director of marketing for its Burger King franchised restaurants in Virginia and Houston, Texas. Poindexter is a graduate of East Carolina University, where he has served on the Marketing Advisory Board for the Department of Marketing and Supply Chain Management since 2014. Bojangles’ has hired Elliot and Associates to begin a national search for a chief marketing officer who has the passion and experience to lead an iconic quick-service restaurant brand with a longstanding Southern history. Bojangles’, Inc. is a highly differentiated and growing restaurant operator and franchisor dedicated to serving customers high-quality, craveable food made from our Southern recipes, including breakfast served All Day, Every Day. Founded in 1977 in Charlotte, North Carolina, Bojangles’® serves menu items such as made-from-scratch biscuit breakfast sandwiches, delicious hand-breaded bone-in chicken, flavorful fixin’s (sides) and Legendary Iced Tea®. At December 30, 2018, Bojangles’ had 759 system-wide restaurants, of which 319 were company- operated and 440 were franchised restaurants, primarily located in the Southeastern United States. For more information, visit www.bojangles.com or follow Bojangles’ on Facebook, Instagram and Twitter. DALLAS, March 6, 2019 /PRNewswire/ — Smoothie King, the world’s leading smoothie brand, has named restaurant industry veteran Rebecca Miller as its new chief marketing officer to support its fast growth, an upcoming rebrand and strategy for the Clean Blends initiative. Her first official day with the company was Feb. 25. Before joining Smoothie King, Miller served as senior vice president of marketing for On The Border Mexican Grill & Cantina, the largest Mexican restaurant in the United States. She previously spent nine years in various brand marketing and product innovation leadership roles with Pizza Hut, Inc.
Smoothie King passed the 1,000-store milestone in 2018, opening more stores last year than ever in its history. In 2019, Smoothie King also continues expanding its industry-leading Clean Blends innovation that makes smoothies more nutritious with more whole fruits and veggies, no artificial colors, flavors or preservatives, and zero grams of added sugar in many options, with the goal of becoming an integral part of guests’ health and fitness journeys. Miller holds a BBA in Marketing from the University of Oklahoma’s Price College of Business. She remains actively involved in the school’s JCPenney Leadership Program and has served as a guest lecturer for the Price College of Business for more than 10 years. Smoothie King Franchises, Inc., the original U.S. smoothie franchise, is a privately held, Dallas-based franchise company with more than 1,000 units worldwide. It was founded in 1973 with the mission to help others achieve better health in a delicious way through smoothies. Today, it continues its mission to inspire a healthy and active lifestyle through its Clean Blends initiative, which focuses on great-tasting smoothies with more whole fruits and vegetables while removing added sugars, artificial flavors, artificial colors and preservatives. Smoothie King extends its vision to be an integral part of every health and fitness journey through partnerships with the American Cancer Society, Challenged Athletes Foundation and the Smoothie King Center. The franchise is currently ranked No. 1 by Entrepreneur magazine in the juice bar category for the 28th year, ranked No. 22 overall on the 2019 Franchise 500 list and debuted on the Inc. 5000 list in 2018. The company also offers retail products that include sports beverages, energy bars, vitamins, supplements and more. Charleston, SC (RestaurantNews.com) Stoner’s Pizza Joint, a millennial-focused, quick-service pizza franchise, announced today that Glenn Cybulski has joined the company as president and chief culinary officer. A seasoned industry veteran with more than 25 years of experience, Cybulski will oversee Stoner’s culinary operations, as well as leverage his decades of experience in recipe and product development, operational systems and menu design to spearhead the brand’s nationwide expansion. On the heels of a successful 2018, the rapidly growing pizza concept will be meeting with prospective franchisees at the International Pizza Expo, March 4-7 in Las Vegas. A certified Italian Pizzaiolo, having studied at the prestigious Scuola Italiana Pizzaioli in Italy, Cybulski has owned and operated numerous restaurants in Northern California. Awarded the prestigious ‘World Pizza Champion’ at the Citta Di Napoli world pizza competition in Naples, Italy, he is widely regarded as one of the top 10 pizzaiolos in the United States. Cybulski is a founding member of Chefs Feeding Kids, a non-profit group made up of professional chefs and restaurant owners dedicated to feeding undernourished children and promoting healthy eating habits. As part of its aggressive growth plans, Stoner’s Pizza Joint will be in attendance at the International Pizza Expo March 4-7, 2019, in Las Vegas where it will be seeking qualified franchisees to help grow the brand nationally, specifically in college towns. Founded in 2013, Stoner’s Pizza Joint was purchased by experienced restaurateurs Drew Ciccarelli and Nick Bergelt, who developed and launched Stoner’s Pizza Joint’s franchising program in 2018 with the goal of growing the brand’s footprint to 100 locations by 2023. For more information about franchising opportunity with Stoner’s Pizza Joint, visit https://www.stonerspizzajointfranchise.comor contact the Stoner’s Pizza Joint Franchise Development team, at franchise@stonerspizzajoint.com or call 843-518-1972. Founded in 2013 and headquartered in Charleston, South Carolina, Stoner’s Pizza Joint is a millennial-focused, quick-service pizza restaurant that uses high quality, fresh ingredients. The company offers a variety of specialty pizzas, hickory-smoked wings made daily in-house, salads, strombolis, and calzones. Today, Stoner’s Pizza Joint has grown to 11 locations in South Carolina, Georgia, Texas and Florida. For more information about Stoner’s Pizza Joint, visit www.stonerspizzajoint.com. ATLANTA, March 4, 2019 /PRNewswire/ — Church’s Chicken® has added a new member to its already stellar leadership team. Announced today, Brian Gies, Executive Vice President and Global Chief Marketing Officer, will take the reins of the global chicken brand’s marketing efforts as it moves to expand its presence and grow worldwide market share. Gies comes to Church’s with nearly 20 years of top-level restaurant marketing experience improving the value of each of the brands he has led. Gies will also be responsible for implementing the Church’s recently launched new global brand positioning and its new domestic marketing approach focused on Bringin’ That Down Home Flavor™. Gies’ tenure includes leading the marketing efforts at iconic brands like TGI Fridays and Burger King. At Fridays, Gies modernized the brand’s marketing to appeal to rapidly shifting consumer needs. In addition to a digital transformation that launched an e-commerce platform fueling the growth in the takeout business, Gies contemporized the product approach with a comprehensively overhauled handcrafted menu, optimized the largest loyalty program in the category, and implemented one of the most successful core promotional platforms in the brand’s history with “Endless Appetizers”. While at Burger King, Gies led the U.S. Marketing Activation team that helped reinvigorate the business, establishing the King as a brand icon, and driving a resurgence in the brand’s flagship product with a sustained superiority campaign around the Whopper with initiatives that became industry game changers, such as “Whopper Freak-out”, “Whopper Virgins” and “Whopper Sacrifice.” As Gies and team continued to innovate in marketing, Burger King was chosen as ‘Marketer of the Decade’ by AdWeek, while the company enjoyed an unparalleled five-year run of consecutive positive same store sales as a public company. Founded in San Antonio, TX in 1952 by George W. Church, Church’s Chicken® is one of the largest quick service restaurant chicken chains in the world. Church’s® specializes in Original and Spicy Chicken freshly prepared throughout the day in small batches that are hand-battered and double-breaded, Tender Strips®, Honey-Butter Biscuits™ made from scratch and freshly baked, and classic, home-style sides all for a great value. Church’s® (along with its sister brand Texas Chicken® outside the Americas) has more than 1,500 locations in 23 countries and international territories and system-wide sales of more than $1 billion. For more information, visit https://www.churchs.com. Follow Church’s® on Facebook at https://www.facebook.com/churchschicken and Twitter at https://twitter.com/churchschicken. DENVER–(BUSINESS WIRE)–Eric Grundmeier, a seasoned supply chain professional, has been named Chief Supply Officer of REGO Restaurant Group – the fast-casual restaurant platform backed by High Bluff Capital Partners that includes Quiznos and Taco Del Mar. The news comes on the heels of the recent appointments of President and CEO Tim Casey and Chief Brand Officer Mark Lohmann, as REGO eyes continued expansion through strategic acquisitions. Grundmeier, who previously served with PepperJax Grill and Qdoba, will oversee all supply chain systems and processes, including sourcing and quality control across the platform and for individual brands through a shared services model. Previously, Grundmeier served as a Vice President of Supply Chain and Quality Assurance (QA) for PepperJax Grill and a Senior Vice President of Manufacturing and Supply Chain for Einstein Noah Restaurant Group, where his initiatives resulted in significant, system-wide cost savings and increased supply chain efficiency. Earlier in his career, he served as Vice President of Supply Chain and QA with Qdoba Restaurant Corporation, where he worked during a fourteen-year period of rapid growth, building up the supply chain and QA departments as the number of restaurant locations grew from 23 to 629. Based in Denver, Colorado, REGO Restaurant Group is a fast-casual restaurant platform backed by High Bluff Capital Partners. The portfolio currently includes Quiznos, home of the original toasted sub, and Taco del Mar, which offers coastal Mexican cuisine. REGO Restaurant Group manages nearly 800 restaurants in 32 countries. High Bluff Capital Partners is a private investment firm specializing in consumer-facing companies and brands with the potential for transformation and significant growth. The firm’s team has extensive experience investing in, managing, leading and reinvigorating consumer businesses across the restaurant, entertainment, food, beverage and retail markets. More information can be found at www.highbluffcap.com. NEW YORK–(BUSINESS WIRE)–Shake Shack today announced the appointments of Chief Development Officer, Chief Global Licensing Officer, Chief Information Officer and Chief Marketing Officer, as well as the addition of its ninth board member. All four positions represent new roles at the company, filled with a balanced team of internal and external talent. With sizeable growth ahead and a relentless focus on excellence, experience and hospitality, Shake Shack’s team of senior leaders will be instrumental in its strategic growth. Andrew McCaughan, formerly Vice President of Development at Shake Shack, has been promoted to Chief Development Officer, effective February 28, 2019. He will be responsible for the overall growth of the company, leading the real estate strategy, design, construction and facilities functions. Since joining the company in 2010 with just three Shacks, Andrew has developed and led a best in class development team, secured iconic real estate in numerous new markets, and guided the restaurant’s design vision to constantly enhance the guest experience. Now with over 200 restaurants worldwide, Andrew actively focuses on orchestrating the extension of brand and digital experience into the physicality of the restaurant, while leading strategic growth and development of new locations. Prior to joining Shake Shack, Andrew worked in multiple facets for renowned Chef and Restaurateur Rick Bayless. It was under Bayless that Andrew cultivated his passion for the restaurant business, from fine dining to street food. Michael Kark, formerly Vice President of Global Licensing at Shake Shack, has been promoted to Chief Global Licensing Officer, effective February 28, 2019. He will be responsible for overseeing the company’s rapidly expanding licensed partnerships around the world. Michael has led our international business since nascent stages in 2012, having established pivotal partnerships and developed an extraordinary organization capable of building our business around the globe. Over the past eight years, Michael has launched Shake Shack across the UK, Middle East, Hong Kong, Mainland China, Japan, South Korea, Russia and Turkey alongside some of the industry’s most admirable partners. In addition, Michael actively pursues business development for future partnerships while managing cross-functional teams including operations, real estate, marketing, design, culinary and supply chain. Before joining Shake Shack, Michael spent eight years overseeing operations at Chipotle—one of the world’s industry-shaping QSR brands. Prior to that, Michael spent four years with Marriott International supporting world-class hospitality. Dave Harris has been named as Chief Information Officer and will be responsible for overseeing all aspects of technology at Shake Shack. Dave comes with a breadth of experience across digital innovation and technology-enabled growth in large multi-unit environments. Prior to joining Shake Shack, Dave served as Vice President of Digital Technology at Newell Brands, a publicly traded consumer goods company, where he had global responsibility for the eCommerce and Digital Marketing technology across their diverse portfolio of brands including Sharpie, Elmers, Contigo, Graco, Calphalon, Coleman, Marmot, Rubbermaid and Yankee Candle. He has led the delivery of multiple tech transformation initiatives ranging from creating new commerce websites, optimizing checkout to increase conversion, developing new analytics capabilities, and building a cohesive data-centric view of consumers across Newell’s brands. Before Newell, Dave was CIO at Yankee Candle where he was responsible for leading the global IT function. There, he led the development of their omnichannel strategy which included deployment of a new POS across 600+ retail stores as well as the implementation of the web, mobile and kiosk technology. Prior to joining Yankee Candle, Dave held various technology leadership roles at Legends, jetBlue Airways, Avis Rent A Car and Virgin Atlantic Airways, where he developed and led teams responsible for consumer websites, reservations and POS systems, loyalty programs, information security, infrastructure, operations and compliance. As previously announced, Jay Livingston has been named Chief Marketing Officer at the company and will be responsible for leading strategic and innovative marketing at Shake Shack. Jay brings a wealth of experience in scaling large global brands, as well as in high growth consumer-facing early stage companies. Jay previously served as Chief Marketing Officer of BARK, makers of BarkBox, from July of 2017. Prior to that, Jay was Senior Vice President of Global Marketing at Bank of America where he held senior marketing roles across the corporation during his twenty year career. Jay is also an active angel investor and advisor in NYC, and is a founding member of Unite America. The search for CIO and CMO was conducted by True Search. Shake Shack also welcomes a new member to its Board of Directors with the appoint of Sumaiya Balbale, effective March 19, 2019. A skilled executive with years of experience in e-commerce, digital media and marketing technology and analytics, Sumaiya will become the ninth member of Shake Shack’s Board of Directors. Sumaiya was the Vice President of E-commerce, Mobile and Digital Marketing for Walmart US from January 2017 to February 2019. In her role she helped deliver two consecutive years of significant double digit growth for the e-commerce business while also leading and transforming the digital media, social media, marketing analytics and marketing technology capabilities of the organization. Sumaiya joined Walmart after the retailer purchased Jet.com in September 2016. An early member of the Jet team, she led all consumer marketing for the startup including brand, acquisition and retention efforts. In addition to growing the Jet business to a $1B run rate in the first 12 months, she also created award-winning advertising for the brand which won the Cannes Media Grand Prix in 2017. Sumaiya served as VP of Marketing at Jet from September 2014 through October 2017. Prior to Jet, Sumaiya held leadership roles at multiple Amazon e-commerce verticals including Diapers.com, Casa.com and Soap.com. Before venturing into eCommerce, Sumaiya spent time as a brand strategist in advertising, working at FCB and Deutsch for clients such as IKEA, Novartis, and SC Johnson. Sumaiya is a graduate of Harvard Business School and Brown University. She was named one of Fortune’s 40 under 40 in 2018. Shake Shack is a modern day “roadside” burger stand known for its 100% all-natural Angus beef burgers, chicken sandwiches and flat-top Vienna beef dogs (no hormones or antibiotics – ever), spun-fresh frozen custard, crinkle cut fries, craft beer and wine and more. With its fresh, simple, high-quality food at a great value, Shake Shack is a fun and lively community gathering place with widespread appeal. Shake Shack’s mission is to Stand for Something Good®, from its premium ingredients and caring hiring practices to its inspiring designs and deep community investment. Since the original Shack opened in 2004 in NYC’s Madison Square Park, the company has expanded to more than 200 locations in 26 U.S. States and the District of Columbia, including more than 70 international locations across London, Hong Kong, Shanghai, Istanbul, Dubai, Tokyo, Moscow, Seoul and more. BOCA RATON, Fla., Feb. 19, 2019 /PRNewswire/ — IPIC® Entertainment (“IPIC” or the “Company”) (NASDAQ: IPIC) today announces the appointment of Carla D’Alessandro as Chief Marketing Officer (CMO). D’Alessandro joins IPIC after building out digital capabilities and leading innovative marketing programs for Fortune 500 brands at Zimmerman Advertising by creating a best in class digital experience, customer acquisition and database loyalty programs to grow market share and revenue. “We are thrilled to have Carla join the IPIC family and build a world class performance marketing team. Her experience in direct and member-specific marketing will help continue to build on the foundation of our IPIC ACCESS Membership Program and offer an unparalleled guest experience,” states Hamid Hashemi, Founder and CEO of IPIC Entertainment. As CMO for IPIC Entertainment, Carla will lead and oversee all marketing efforts across the entire IPIC brand portfolio including theaters, restaurants, experiential content, membership and partnership strategies. Carla understands that guests today crave unique, shareable entertainment experiences that cannot be replicated at home. In leveraging data-driven insights from IPIC’s growing membership base, Carla’s focus is building out capabilities to tailor and scale marketing programs across earned and owned channels for both new and existing members. Carla brings her diverse knowledge of omnichannel marketing and digital-first strategies to the CMO role at IPIC, previously holding the position of Senior Vice President, Managing Director for Zimmerman Advertising where she oversaw the Retail Account Services department supporting over twenty-five local and national brands including Sam’s Club, McDonald’s, Michaels Arts and Crafts, and Tire Kingdom. Carla has been successful in partnering with heads of marketing to navigate an ever-changing landscape in categories that have experienced tremendous change. She credits focusing on the consumer, taking a test and learn approach and investing in best in class marketing technology partners as keys to success. Carla has a Specialist BA in Cinema Studies from the University of Toronto and an MBA specializing in Luxury Goods & Services from the International University of Monaco. She currently lives in West Palm Beach with her husband. Established in 2010 and headquartered in Boca Raton, Fla., IPIC® Entertainment is America’s premier luxury restaurant-and-theater brand. A pioneer of the dine-in theater concept, IPIC® Entertainment’s mission is to provide visionary entertainment escapes, presenting high-quality, chef-driven culinary and mixology in architecturally unique destinations that include premium movie theaters and restaurants. IPIC® Theaters offers guests two tiers of luxury leather seating, Premium Chaise lounge and Premium Plus Pod or reclining seating options. IPIC® Theaters currently operates 15 locations with 115 screens in Arizona, California, Florida, Illinois, Maryland, New Jersey, New York, Texas, and Washington and new locations planned for Florida, Georgia, Texas, California and Connecticut. For more information, visit www.IPIC.com. He most recently served as Executive Vice President of Supply Chain, Manufacturing and International with Panera Bread Company, where he led the modernization of supply chain and manufacturing operations. Bojangles’, Inc. announced today that restaurant industry veteran Kenneth M. Koziol has joined the company as its new Chief Restaurant Support Officer, reporting directly to the brand’s new Chief Executive Officer, Jose Armario. Ken brings more than 35 years of restaurant innovation, quality assurance and menu development experience to the iconic Southern brand. He most recently served as Executive Vice President of Supply Chain, Manufacturing and International with Panera Bread Company, where he led the modernization of supply chain and manufacturing operations. Prior to Panera, Koziol spent over 20 years in senior-level leadership roles with McDonald’s Corporation, rising to Executive Vice President and Worldwide Chief Restaurant Officer. In this new role for the popular, fast-growing restaurant operator and franchisor, Koziol will assume responsibility for Supply Chain, Quality Assurance, Strategy, Menu Development, Innovation and Information Technology. Mark Lohmann, a former senior executive with Qdoba Restaurant Group, has been named Chief Brand Officer of REGO Restaurant Group, the fast-casual restaurant platform backed by High Bluff Capital Partners that includes Quiznos and Taco Del Mar. The news follows the recent appointment of President and CEO Tim Casey, as REGO looks to expand its brand portfolio through strategic acquisitions. Serving in a newly created position, Lohmann will be responsible for marketing, brand strategy, integration and international opportunities across all portfolio brands. He previously served as Vice President of Strategy and Business Development for Qdoba Restaurant Group, where he was part of the team that led the brand’s transformation. Earlier in his career, he spent five years with global management consulting firm The Boston Consulting Group, where he advised underperforming consumer, restaurant, and hospitality companies on strategy, positioning and transformation. Immediately prior to joining REGO, Lohmann served as Chief Financial Officer for Cool Planet, an entrepreneurial agriculture technology company. © 2018 Wray Executive Search. All Rights Reserved.